Comfy and hot, this woolen cardigan is a must have for the fall / winter season. 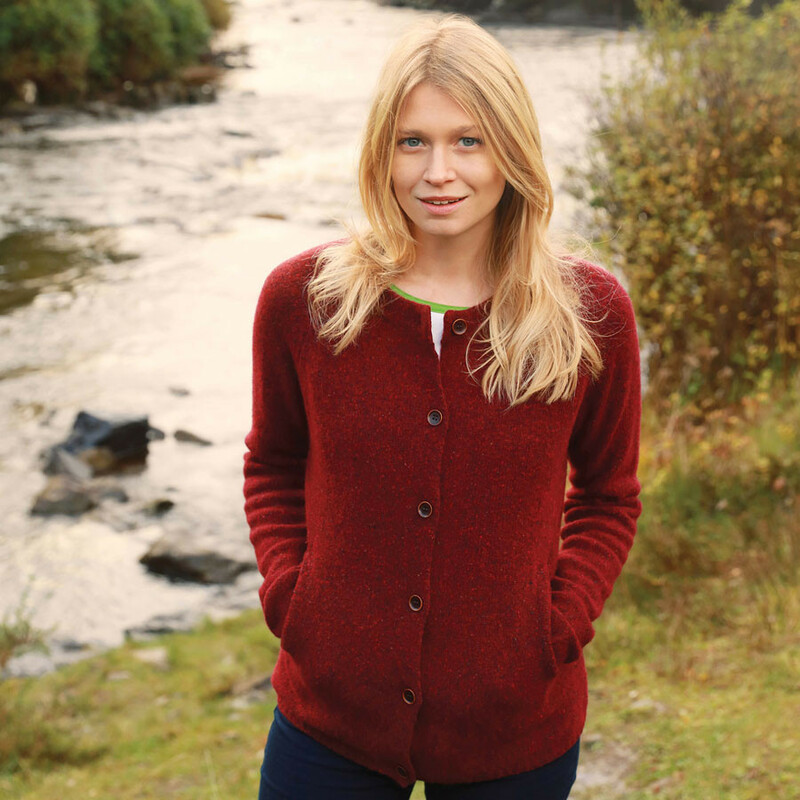 This buttoned cardigan in burgundy is very comfortable to wear, both warm and soft. The colour is emphasized by beautiful points of buttoned threads. The nylon blend brings a very soft touch. Straight cut, 2 discreet side pockets.